It’s Monday, the start of another week and I got back last night from my trip to London. 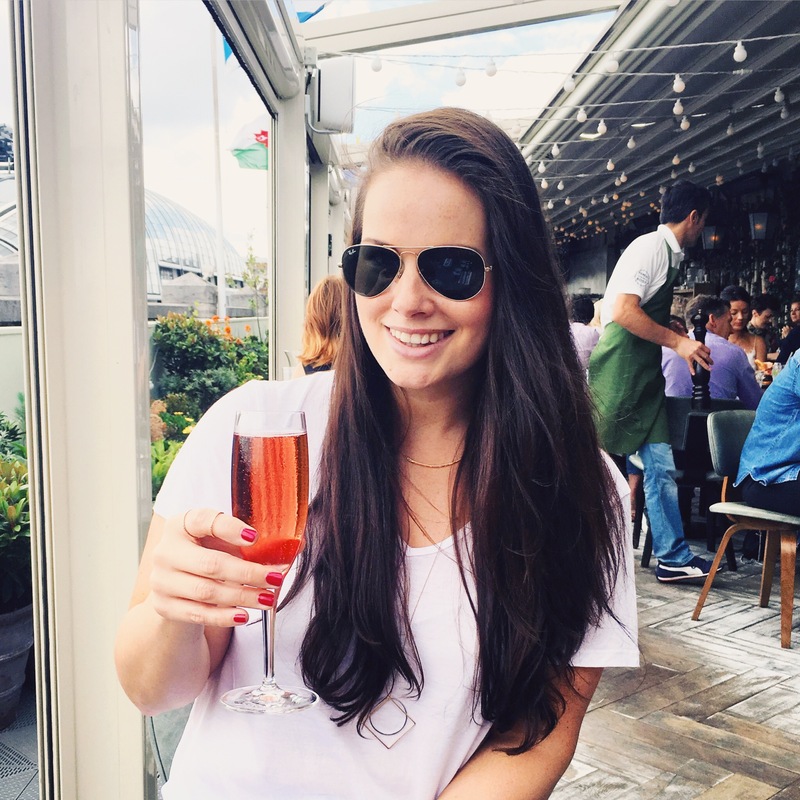 For those of you who caught my travel post on Friday, you’ll know I was going to London for the weekend to celebrate my sisters hen. She’s getting married in September so of course we wanted to send her off into married life in style. I arrived to London around 5pm on Friday evening (sadly after a two hour flight delay) and made my way to meet my two sisters. 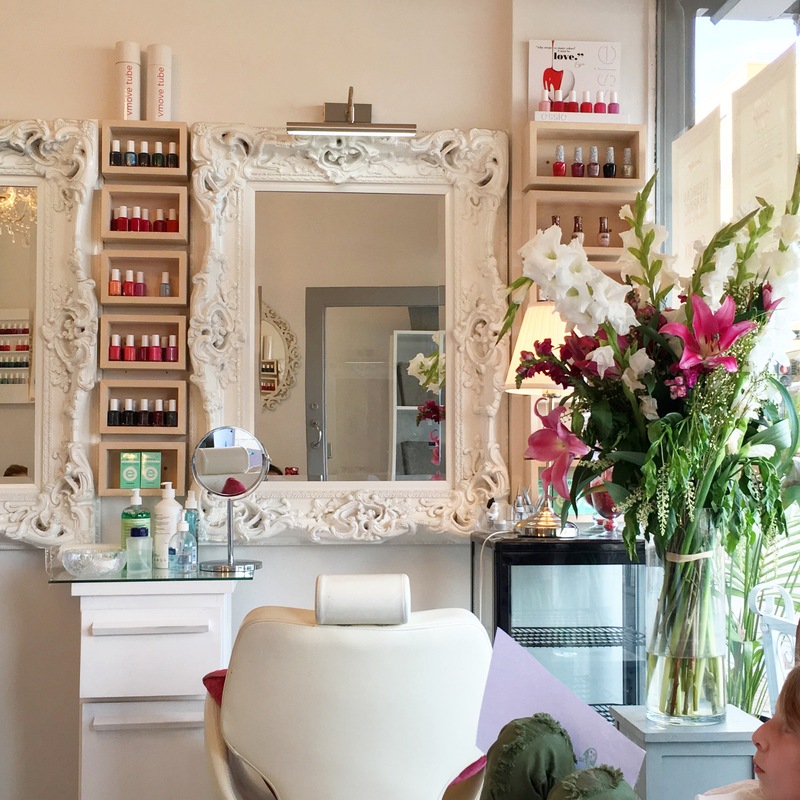 We had an evening of girly pampering in store, so the first stop was manicures and pedicures accompanied of course by some bubbles and cupcakes. 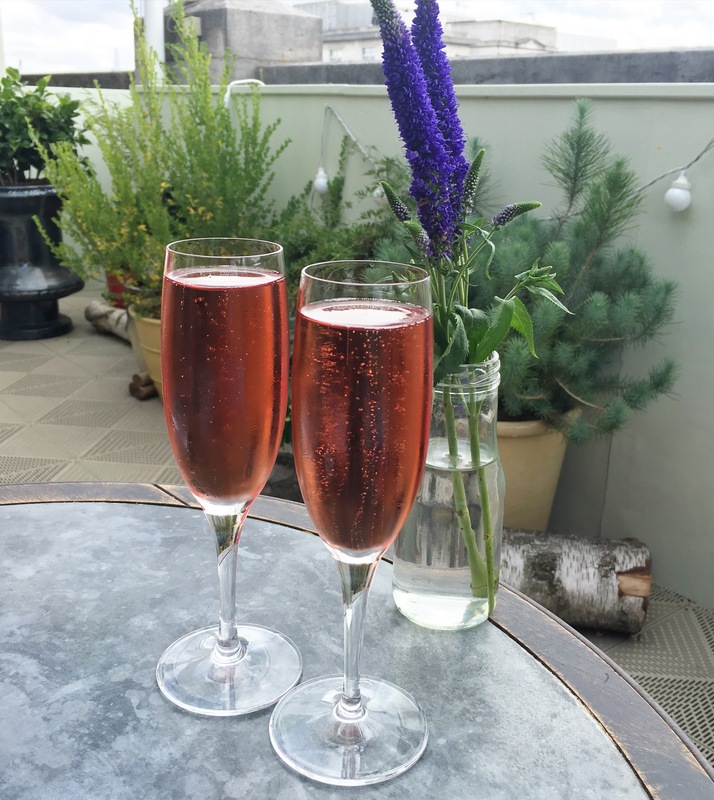 It was the perfect start to our girly weekend. Post nail pampering, we went back to my sisters house for take away, wine and movie night, and mainly a lot of chatting. When we don’t see each other every day, there’s always so much to catch up on, and it’s also very rare that we get some sister time just the three of us so it was really lovely. We finished the night off by watching one of our old favourites, Thelma & Louise, and literally crying with laughter. You know that moment when someone laughs, then someone else, then all of you, and it’s so infectious you just can’t stop until you’re literally about to get sick? Yep, that laughing. The kind of laughing that is great for the soul. 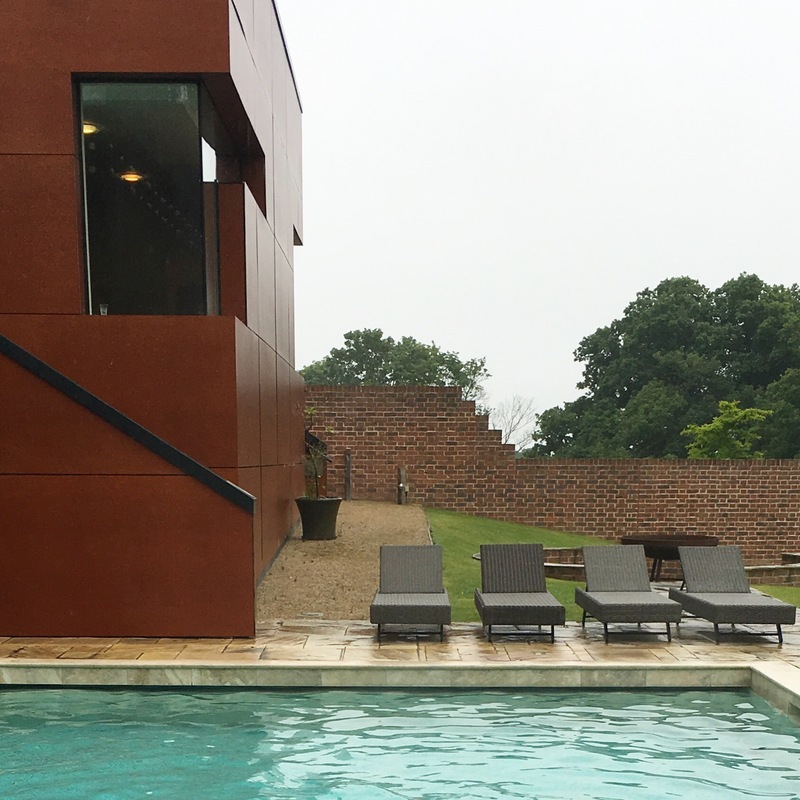 On Saturday morning we were up bright and early to bring her to her actual hen destination which was the lovely Ockenden Manor Hotel & Spa in West Sussex. 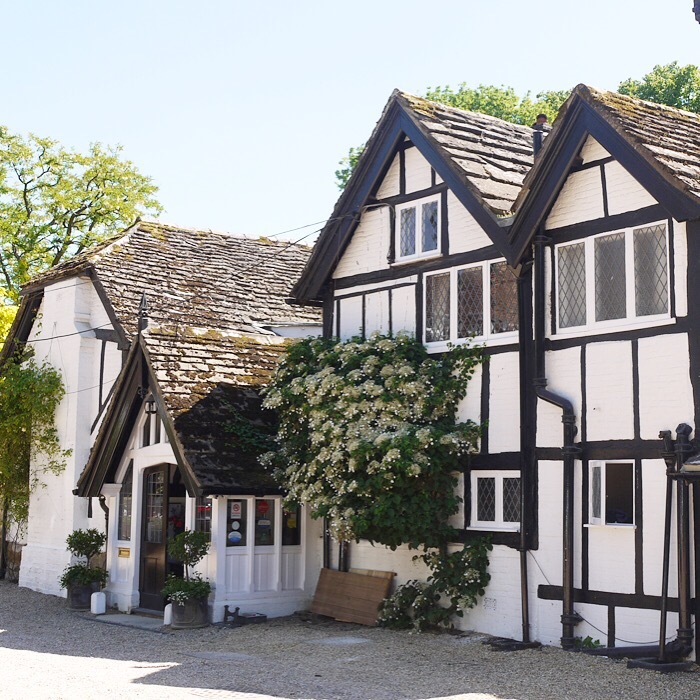 We arrived to the most beautiful Elizabethan manor, with white washed walls and black timber panelling, and exactly the kind of charm you would imagine from a small town in the English countryside. Our bedrooms were in the spa so were quite modern, but perfect for us as we had four to a room for our ultimate girly sleep over. 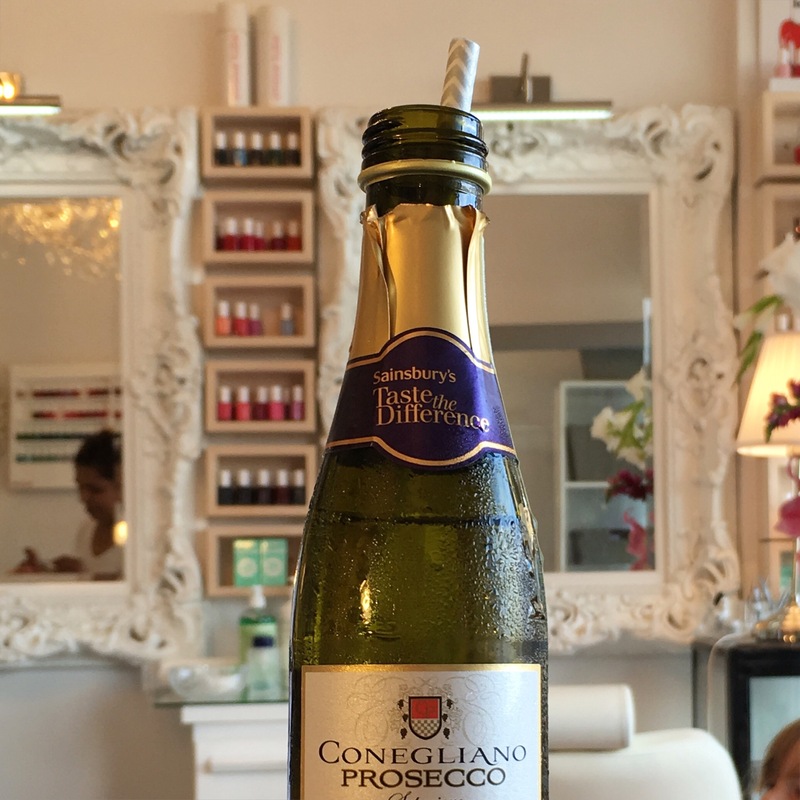 We spent the day in the spa, drinking bubbles, catching up, eating, swimming and of course getting treatments done. 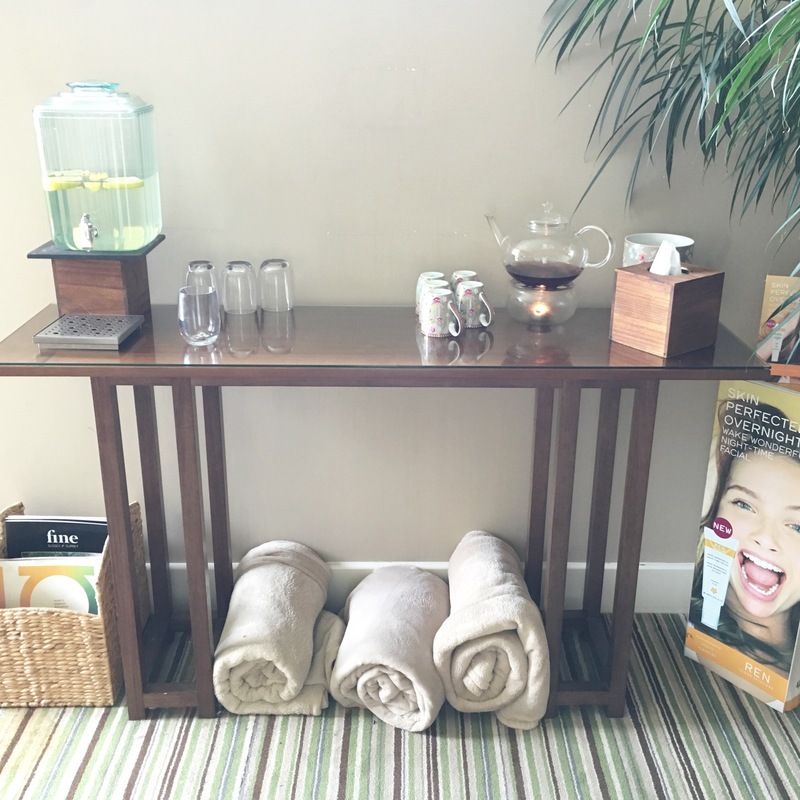 It was a lovely relaxed way for everyone to meet each other, and have some pampering in the process. 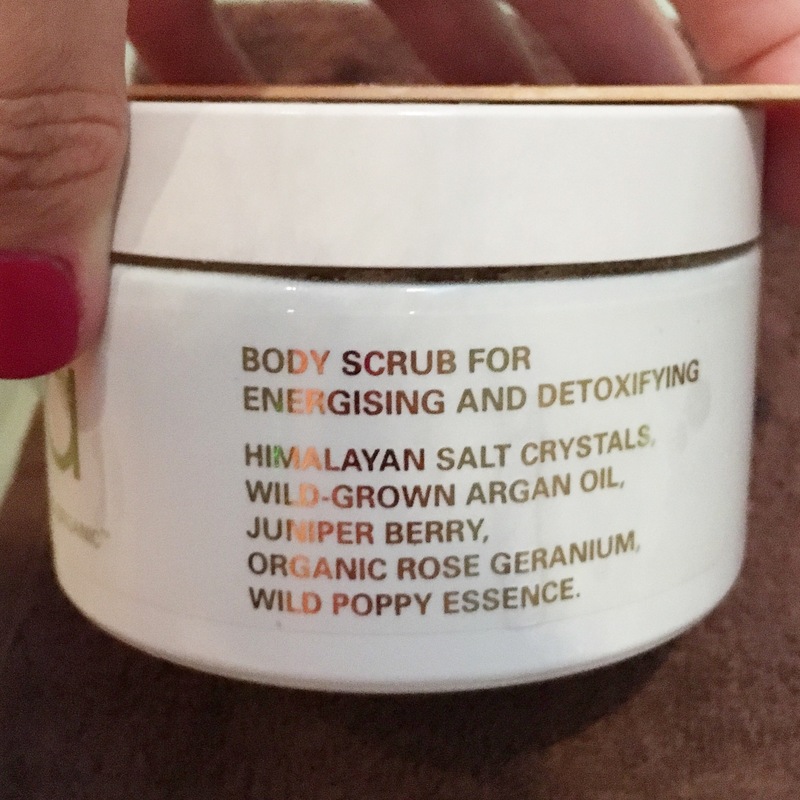 I opted for a one hour Body Scrub/Massage as my treatment, and as I suffer from dry skin it was badly needed. 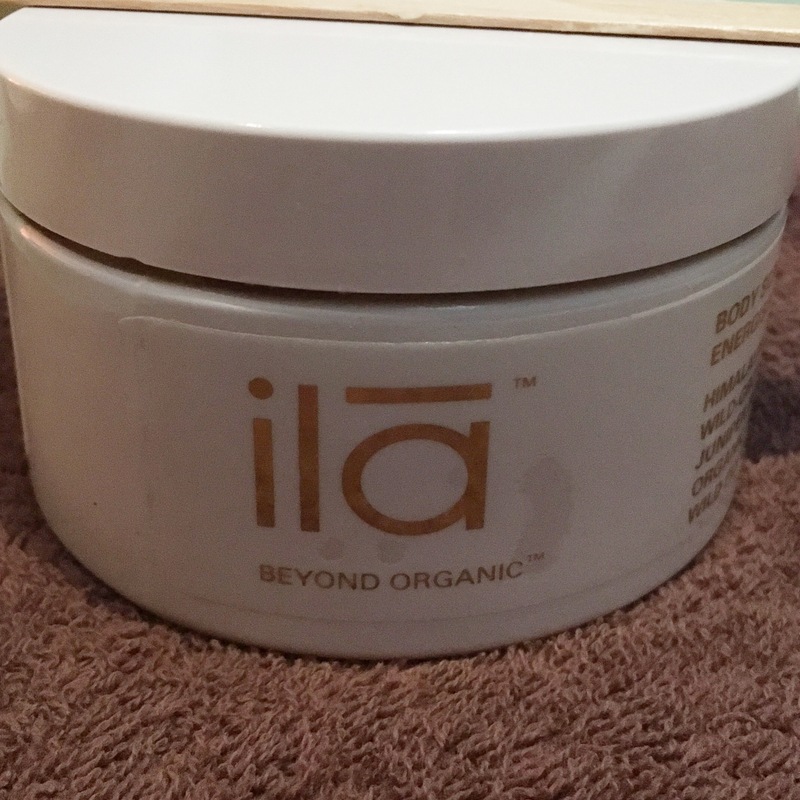 The products they used for the scrub was a range called iLA which I had never heard of before, but the girl informed me it was a British organic luxury spa brand. And it smelled amazing! 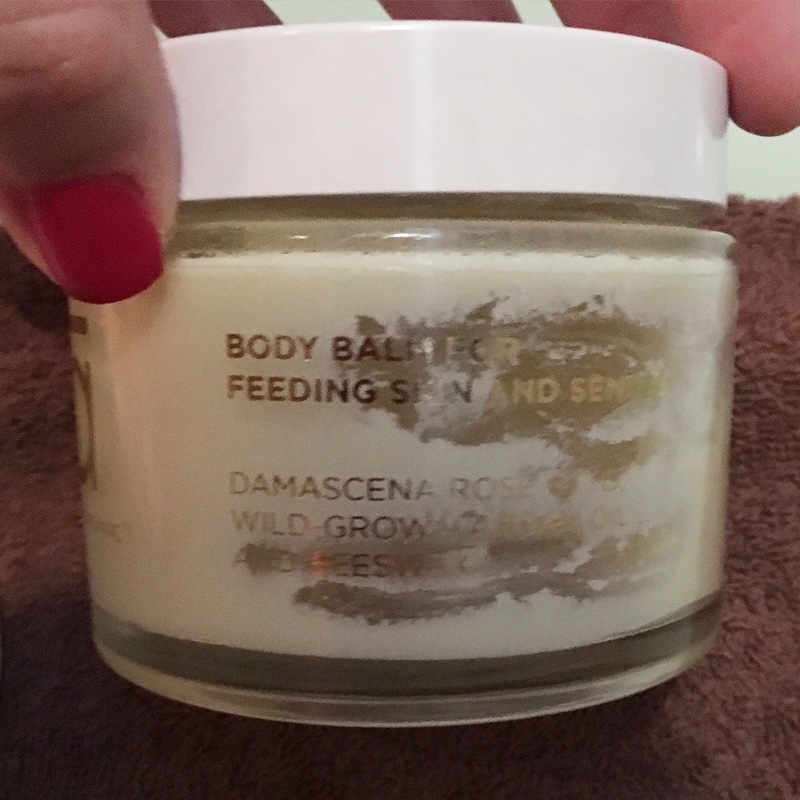 The scrub itself was a full body scrub which lasted forty-five minutes, then I had a quick shower to wash off the product. 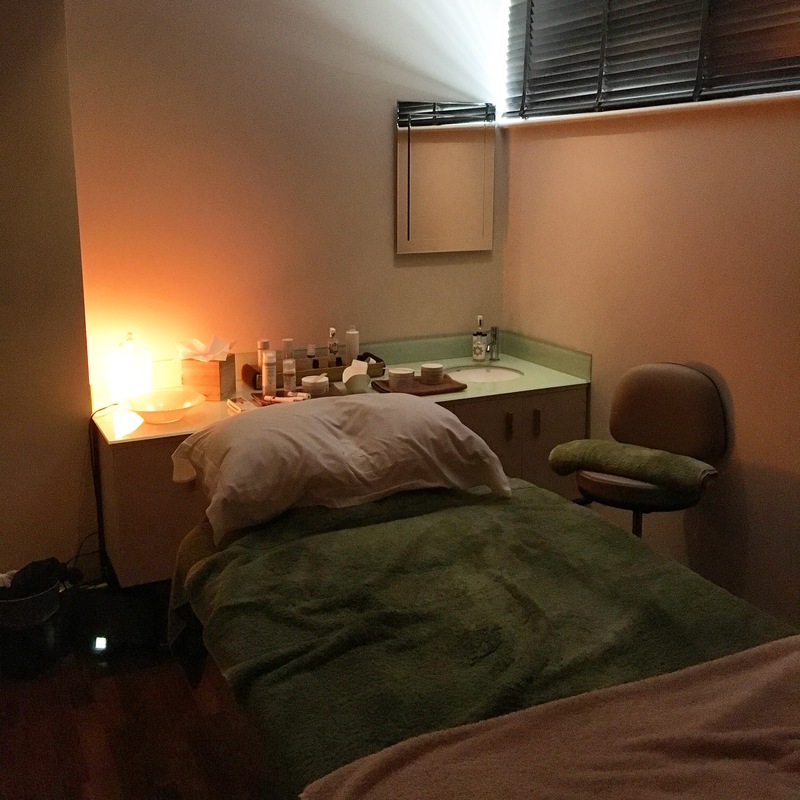 This was followed by a fifteen minute massage using a body balm which contained rose and argan oil, to keep the skin hydrated. It was so good, by the end of it I was almost asleep on the bed! 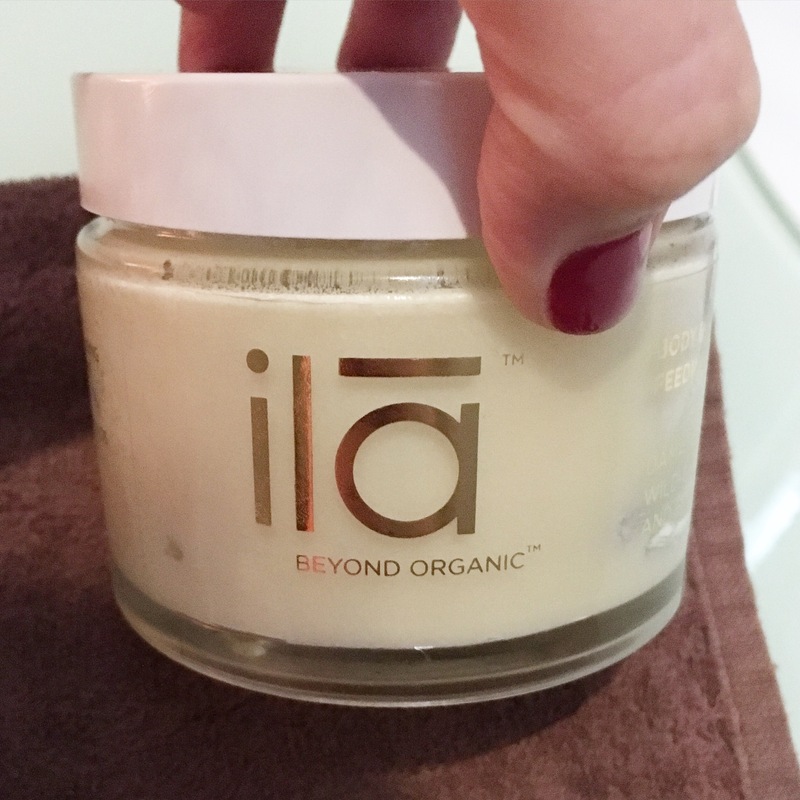 All in all, I really enjoyed it and my skin felt so soft afterwards. 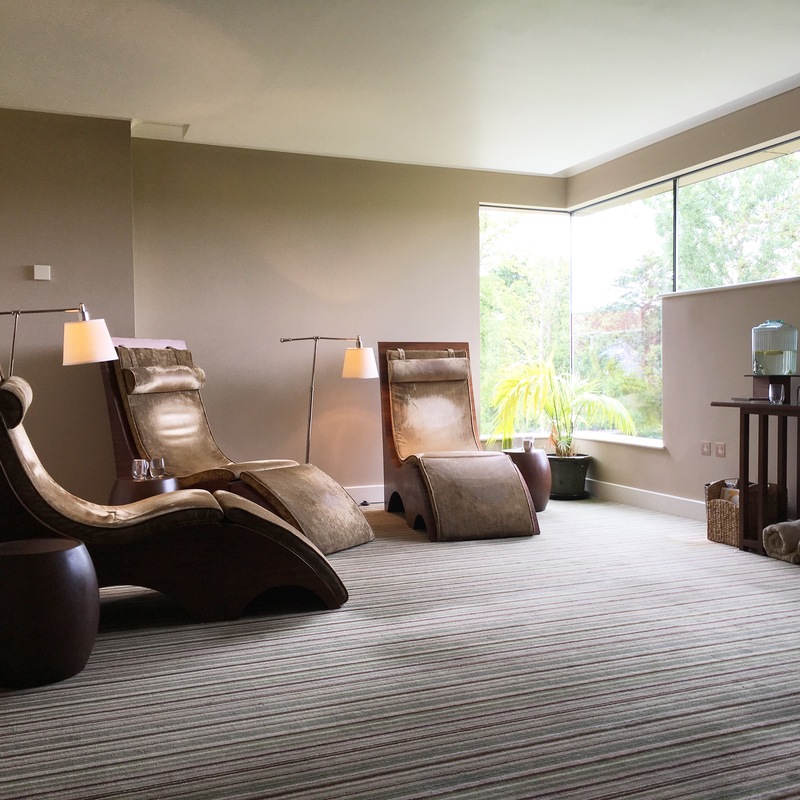 I then made my way into the relaxation room for some quiet time before going back out to meet the others and sit by the pool. After we had all showered and changed that evening, and done a few hen things, we made our way to dinner in the hotel’s Michelin starred restaurant. We had booked a private dining room for the evening which was lovely as we could chat away, and tell stories about our lovely bride-to-be without worrying about interrupting other guests. Our meal was lovely. 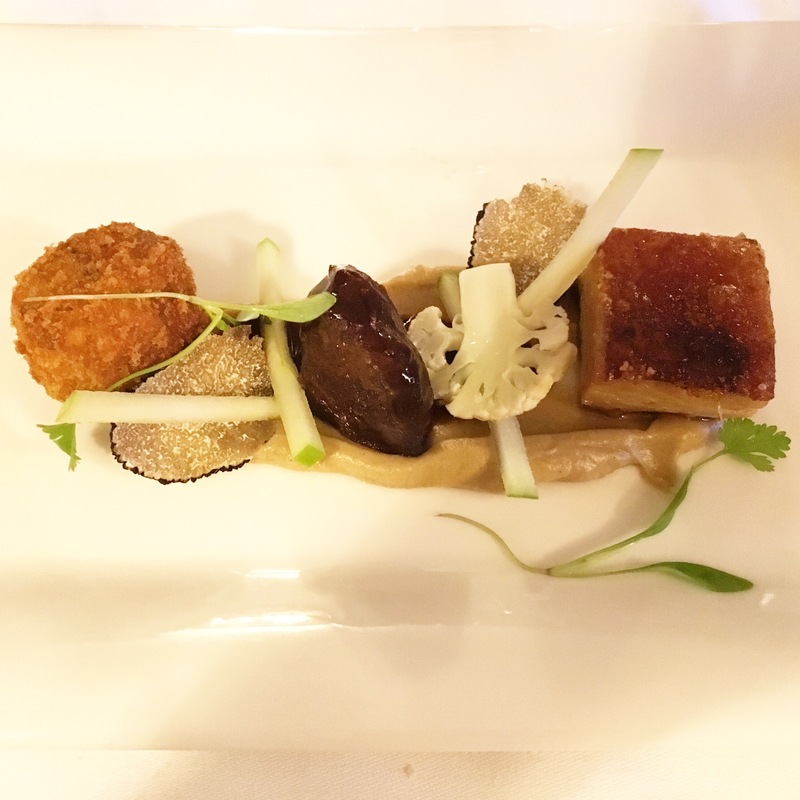 I opted for a trio of Pork as my starter, and a delicious Oxtail dish as my main which was mouth-wateringly good! And as I so often do, for dessert I decided on the cheese plate. 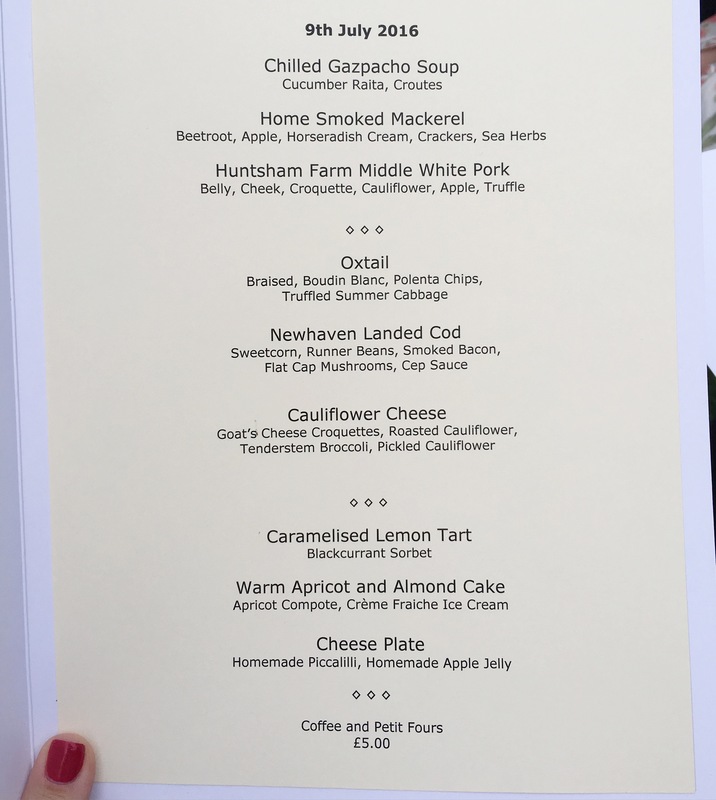 For a Michelin star restaurant, I was a little disappointed with the cheese option so that was a bit of a let down, but we were having so much fun I didn’t care. We ended the night drinking and chatting away into the early hours, and it really was the perfect evening. Breakfast yesterday morning wasn’t as great, the breakfast waitress seemed a little flustered and messed up our orders, but at that stage we just wanted to re-fuel and get back to the spa for one last swim before heading back to London and going our separate ways. 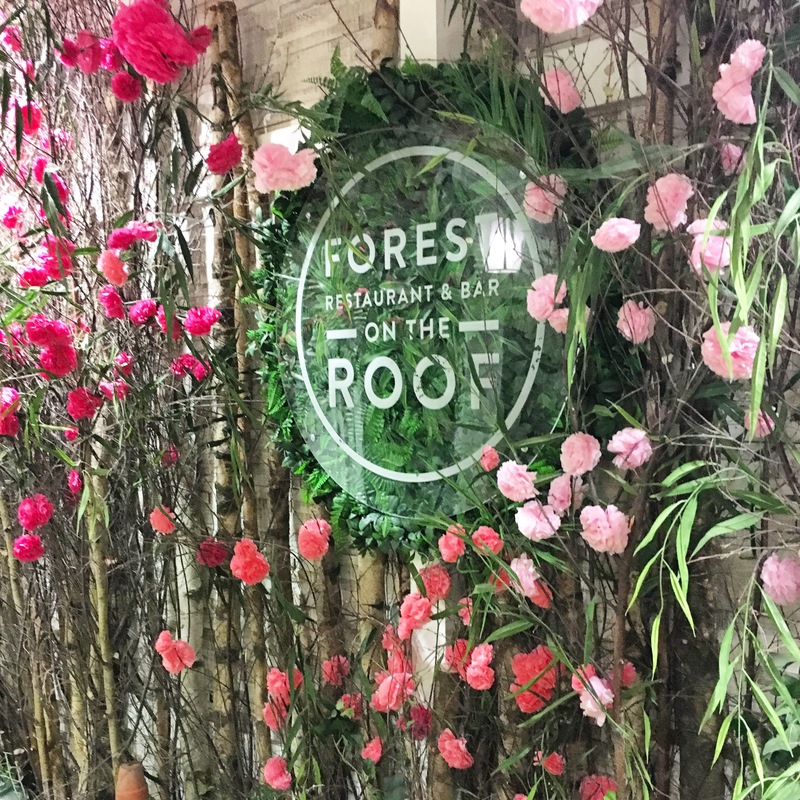 To finish the weekend off in style, we decided to make one final pitstop and paid a visit to Selfridges fab roof top restaurant Forest on the Roof, for a glass of Champagne and a bite to eat. 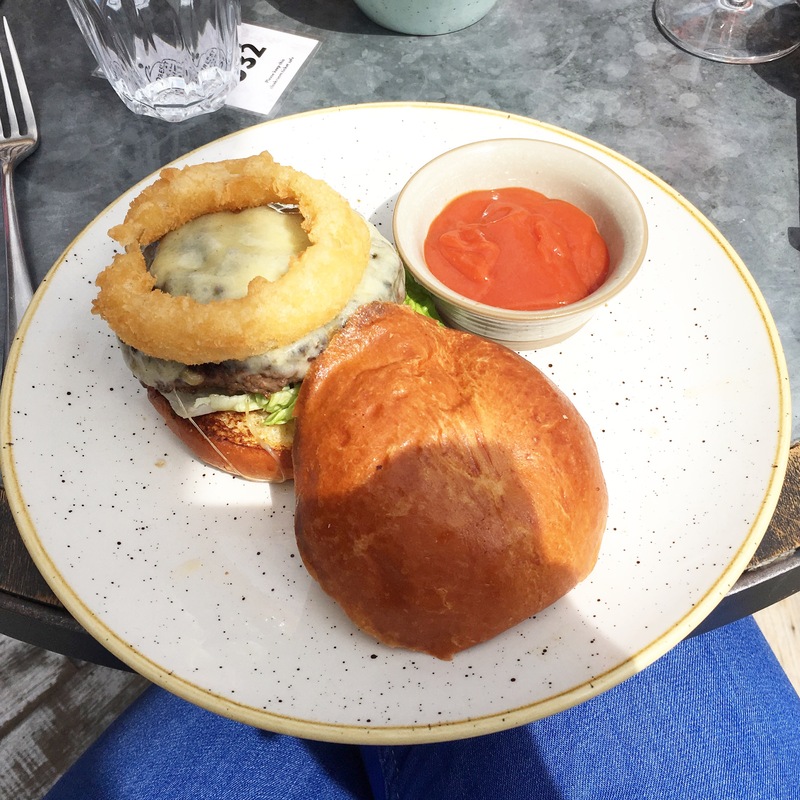 For the day that was in it I went all out and opted for their homemade cheeseburger and truffle fries, both of which were accompanied by a glass of rosé Moet. 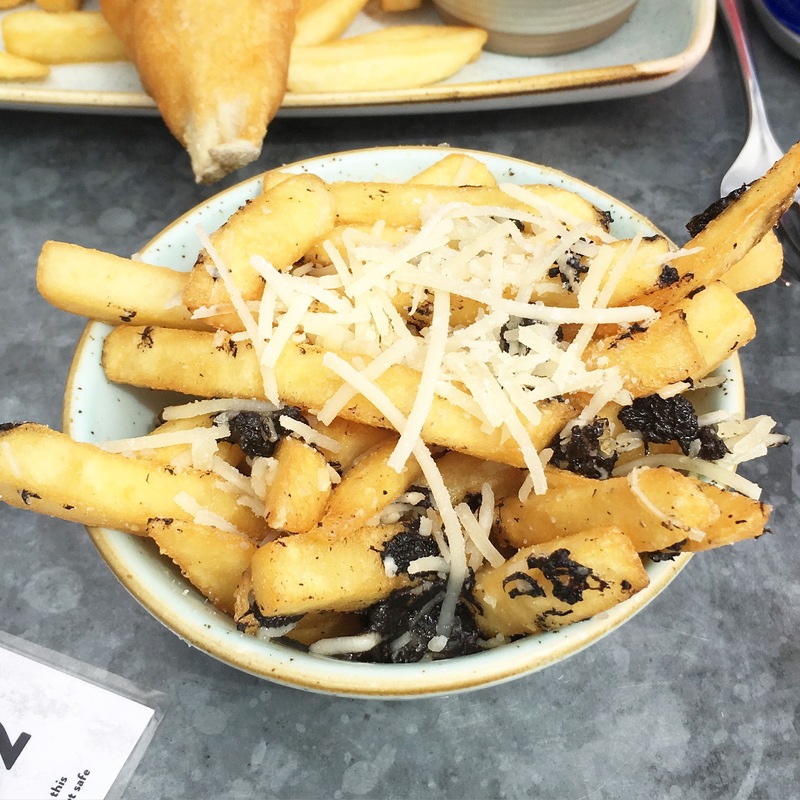 It was deliciously bold, and worth every pound it most likely added to my body weight! We could have sat there all day and night long but unfortunately myself and our friend Aine had to get ourselves to the airport so we wouldn’t miss our flight home to Dublin. So we finished up, said our farewells to London town and made our way home. 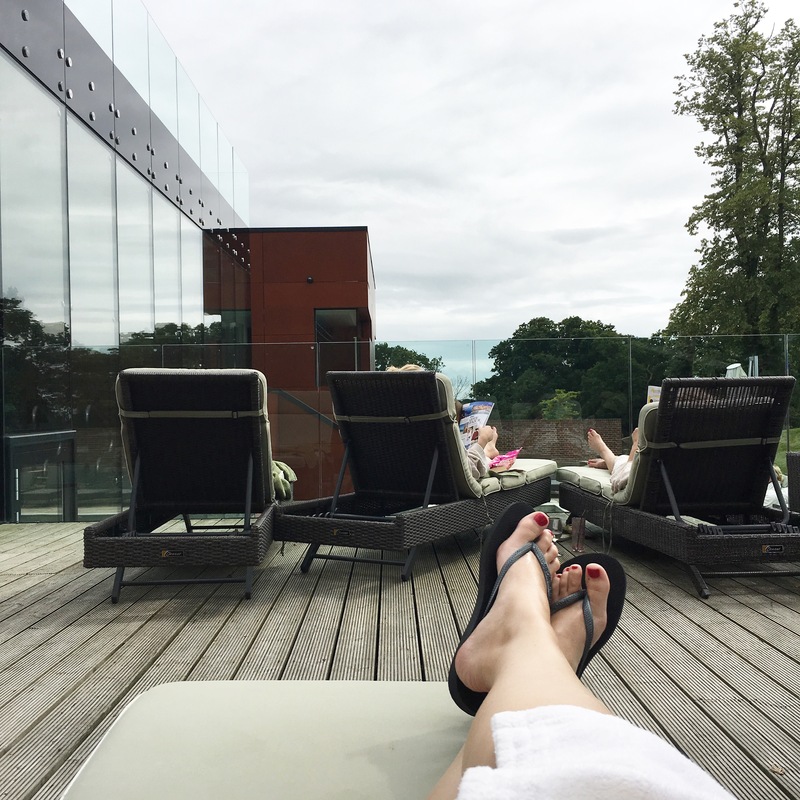 I don’t know about you, but I would always think of going to a spa in Ireland for a spa break, but it really opened my mind up to the amazing country spa hotels the English countryside has to offer. We had such a great few days, full of pampering, eating, laughing, and of course bubbles. 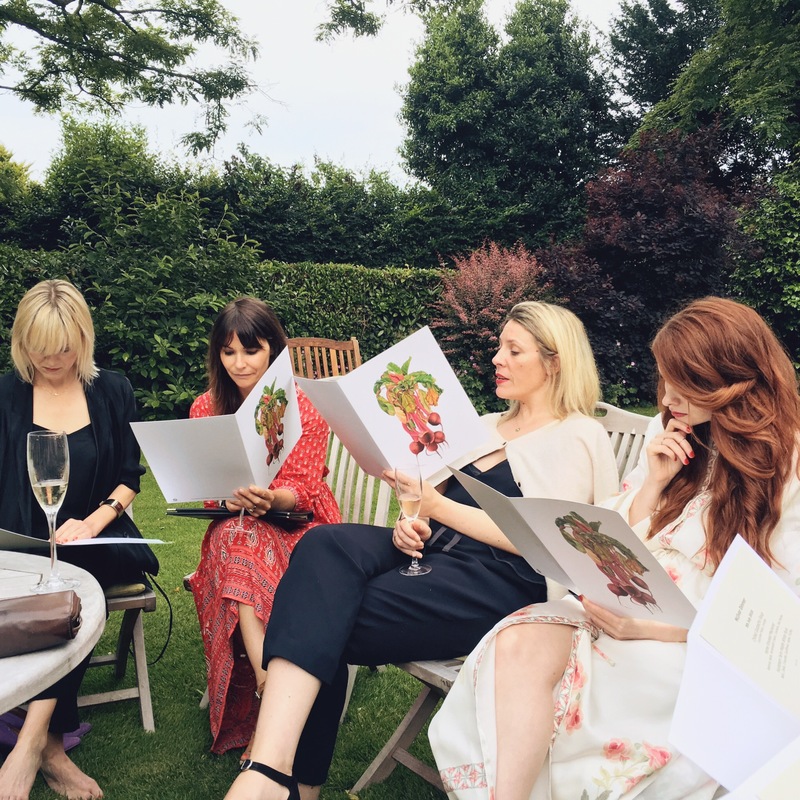 It really was the perfect girly weekend. And best of all, my sister loved it. 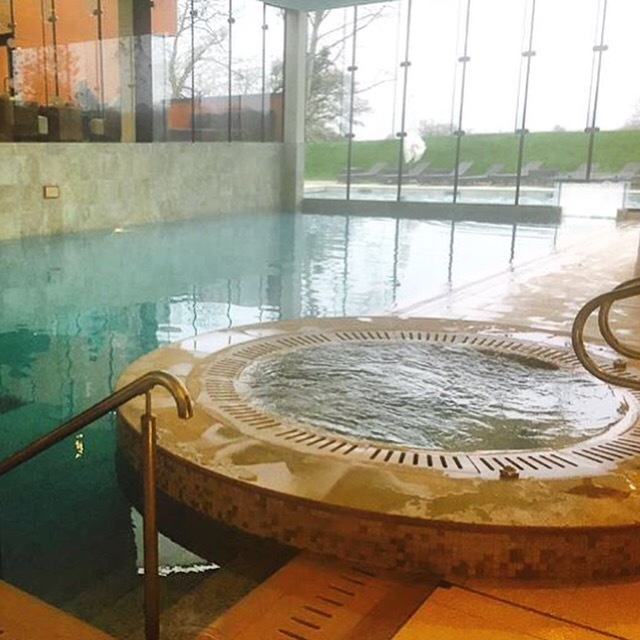 If you’re thinking of a spa break soon and want something a bit different then I’d really recommend having a look at what’s on offer outside of Ireland. If you book early enough the flights to London are really reasonable so it’s the perfect excuse to get away for a weekend. 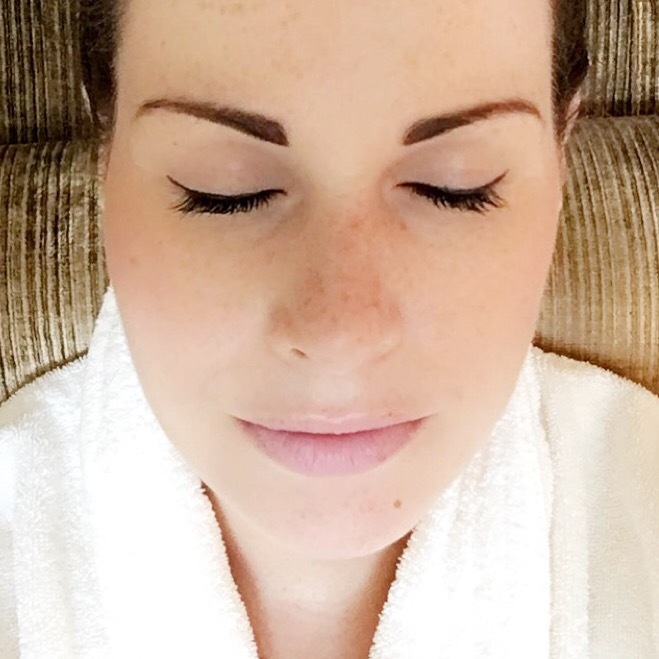 For those of you who would rather something a little closer to home however, then keep an eye on the blog as this weekend I’m going to The Shelbourne Spa in The Shelbourne Hotel Dublin for a spa day with my Mum and I’ll be reporting back on our trip and treatments early next week. For now though, Happy Monday! Hope you all have a great one.